Today, Stephen McCarthy will talk with Head Coach Brian Goodhind of Webber International University on the numerous variables related to the selection of a partner. We will attempt to cover the entire spectrum of players from high school players who are looking for a local partner to college players and the coach is making the decisions to a pro level when your success and failure depend on your decisions. We cover personality, talent level, friendship, while attempting to answer the question of who is the best partner for you and your long term success? 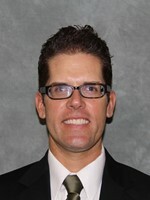 Brian just finished his sixth season at Webber and his fourth as the Head of the volleyball program. Brian came to us from Warner Christian Academy (South Daytona, FL), where he was the Co-Head Coach. While with Warner they won Back to Back State Championship’s while he was there (2009, 2010).